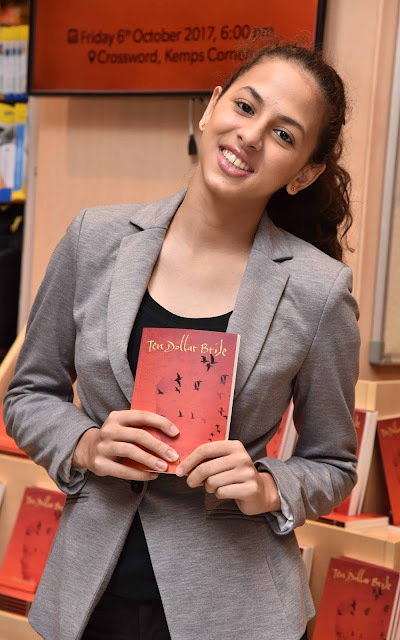 News : 17-year-old Sanya Runwal launches her debut book "Ten Dollar Bride". 17-year-old, Yes! 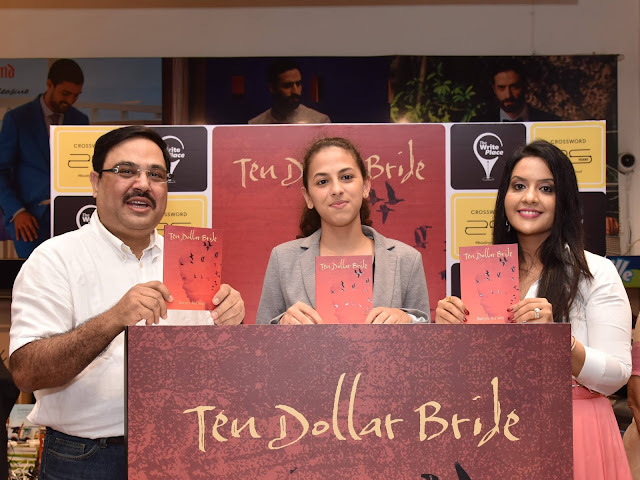 you read the correct, Sanya Runwal launched her debut book titled "Ten Dollar Bride" at Crossword Bookstores, Mumbai, in the presence of Smt. Amruta Fadnavis and other prominent personalities like Ravi Subramanian and Shaina N C. Sanya Runwal proved that teenagers in the country today are all-round achievers. The book, "Ten Dollar Bride" is published by "The Write Place", a Crossword initiative. The first time author, Sanya Runwal turned well-known teenage apathy on its head, with her socially relevant literary debut. She has already created headlines in the past for setting up a foundation that aims to provide low-cost and high-quality menstrual hygiene products. Inspired by personal, real-life events, her book showcases the fear and ignorance with which many young girls in India live in the shadow of our country's ruthless and patriarchal setup. Smt. 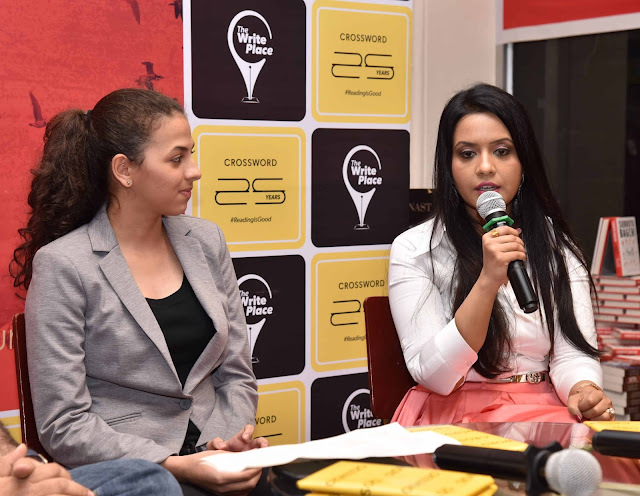 Amruta Fadnavis, a well-known multi faceted personality associated with various social awareness causes, graced the book launch, which was held at Crossword Bookstores, Kemps Corner while the launch was hosted by award-winning author Ravi Subramanian. Commenting on her debut novel, Sanya said, “My intent to write this book was to enable people to empathize with girls from a lower socioeconomic strata, and how they don't even have basic amenities that we take for granted. I wanted to bring to light the critical situation that exists in this day and age. The book has also been written with the intent that my stories urge everyone to collectively do something and rectify the wrong, with our actions." Smt. Amruta Fadnavis who has always been vocal about social issues and has worked towards a better today commented, "I think every woman is a powerhouse but somewhere the realization that she has massive courage within her is missing. There might be various reasons for that. Sometimes, she is not economically independent or lacks support from her family because of backward social norms. Luckily for us, the new breed of women realize that they have to stand up first for themselves. This gives courage to other women, and helps society grow positively." Ravi Subramanian, winner of three Crossword Book Awards said, "If the men in our country read this book, I think the life of our women would be much better. Men don't realize what women go through with small acts which infact are not all that small! Some acts are even scary to women. I think India will be a much better place than it is today, if men read this book." Shaina N C too graced the occasion and was seen in animated conversation with Amruta Fadnavis. Having served as a catalyst for change in the society at a young age, Sanya hopes to highlight the plight of young women in our country and propel action with her book - "Ten Dollar Bride." You can order a copy of the book from Amazon by clicking here.